Our Krav Maga programs focus on learning and practicing, situational awareness, combative combinations and fighting techniques and of course defenses against, chokes, grabs, holds and weapons. 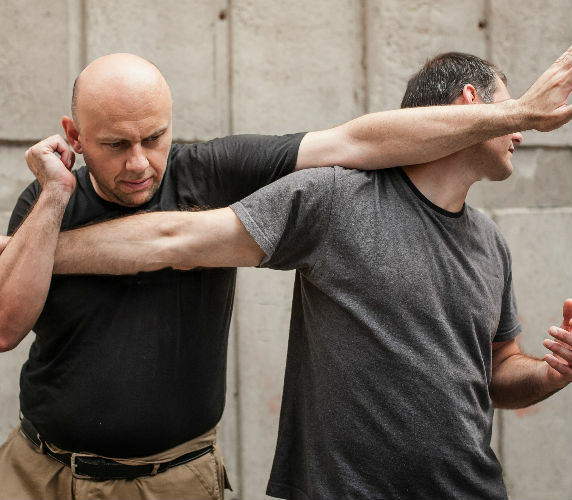 What makes Krav Maga different from other self defense systems is that we also practice situations where multiple attackers are involved. All classes also aim to increase fitness levels as well as mental and physical coordination. *Please note: Golden Krav Maga classes for 55+ will learn the same techniques but at a slower, safer speed and the Kid’s Krav Maga classes will encourage confidence and developing coordination with an emphasis on repetition for learning and retention. This is not your traditional kickboxing class! No air punching here! 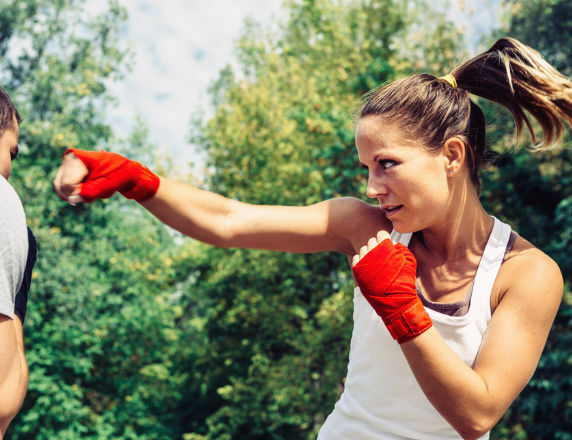 Our Kickboxing conditioning classes will raise your heart rate and burn fat fast while practicing the striking techniques we use in Krav Maga. We like to mix this class up and throw in some out of the box fitness drills too. Anything from cross body bungee pulls to bag drags, tire jumps and lunges. These specialized 6 week training courses are highly praised in our community. In just six weeks you will learn how to defend yourself using combinations of punches, kicks, elbows and knees as well as learning how to avoid and evade dangerous situations. We will show you how to effectively and efficiently free yourself of chokeholds, grabs, carjackings and other common attacks on women. Plus during this six week Women’s Self Defense Boot Camp we also give you the opportunity to try our other classes. The schedule is open to you at no additional cost!